When I first started The Fresh Exchange it was for fun. It was simply a place I used to catalog ideas, thoughts, inspiration, travel, moments, and so on. Though the base of our blog is not much different than that these days, what is different is how it has become a part of our daily work schedule. As the blog has grown and we have become more intentional about this space we have worked to learn how to make the most out of the content we spend so much time and love to create each week. Over the years we have continued to refine and learn what it takes to successfully run this space we love so much so it doesn’t ever feel like a chore but something we are passionate about. Remaining passionate about this space has been the most important thing as we have connected it with our studio. I never want the feeling of it sometimes being work to outweigh the fun I have with it. So, the year leading up to us having Hayes, I spent A LOT of time researching and learning how to automote content and social on our posts to allow me more time with Hayes and Mike without feeling pulled away to tweet, interact, and engage the way I could before. This I knew would not only allow me more time to be present with those I loved, but also to use my free time to do more of what I love in my creative pursuits. Sometimes people think automation is cold especially when applied to a space such as a blog, but what I have found is that it has allowed me to be consistent in my work, create systems, know how long something will take to put together, and ultimately more freedom to create more. I plan to talk more about how we make this space work in the coming months because we get so many questions about it and I don’t know if it is necessarily something that applies to our Working Together series, but I felt this was a good place to start today. These tips are all things you can use and apply whether you are just starting a blog, wanting to dig deeper into blogging, or are running a blog for a brand or business as well. My hope is things will take some of the weight of a blog post away so you can focus more on living out great content to fill your calendar and space, thus making your blog space feel like the free and creative space it should. We will talk next about creating your content calendar and how we do it, but I think it is most important to also get organized on how you manage your list of to-dos and time spent creating content. At the beginning of this year, we got firm about getting on the same system as each other when it came to our To Do list. We spent nearly a week trying out EVERY app you can imagine. Before that we used Sunrise for our calendar (now being eliminated this month…saddest thing) where we could see each other’s days, but tasks were lacking. I wanted a desktop app and Mike wanted a list. So we looked and looked and came across Todoist, which connects to nearly every platform and has a web, desktop, and mobile app. Now we can set reminders and connect right in. So we set reminders for shoots, deadlines for sponsored stories, and times when blog posts need to be written by. It has helped make it easy to know exactly what needs to be done so we get it done and move one quickly. We have always used Lightroom for our editing and it used to be we would a few lessened VSCO filters, but over time we just felt those filters weren’t us. I am very specific about how I feel our content should look from a color perspective and want the whites white and the blacks black. So, after some working together we finally automated our editing system by creating two custom filters for Lightroom. One is for anything shot in our studio and the other is for anything shot in natural light. Now when we edit something Mike drops the filter on and makes small adjustments, but it has cut our editing time from 1-2 hours sometimes to about 30 minutes. The best part you can also do this on your iPhone using A Color Story where you can develop your own filters for your photos as well. THIS IS HUGE! Take note. Seriously. I probably could do a whole post just on this, but for now, we will leave it as a bullet point. When we were prepping for our new design, I started exploring various social plugins for our blog and began implementing IFTT to write recipes for things such as “if we post an Instagram photo it goes to Facebook, Twitter, and Tumblr” and so on. This was very helpful so I didn’t have to do it all myself and make sure everything was logged in properly. Then I discovered CoSchedule and my world has gone to the next level. You can download and install the widget for your WordPress site and it will help you generate strong social shares. It will help you setup all of your social (other than Instagram) for a blog post and it has been worth EVERY SINGLE PENNY. When I went on maternity leave I set up all of our blog posts I had prepped with social so more or less the blog ran itself for about 2 months. It gave me the freedom to be present with Hayes. You can also use an app like Buffer as well. For Instagram, we use Later (by the way they have a great blog), but have also tried Planoly as well. If you are like me and struggle with dyslexia or other things that make it hard for you to write sometimes, I highly suggest that instead of hiring an editor for all of your content and waiting on them to return something, to get a year long subscription to Grammerly. What I love about this is it is a plugin you install in your computer and it edits everything you type anywhere. It isn’t full proof obsviously but it makes me go through my posts very intentionally and thoroughly as it suggests edits. I find it time-saving even, because I am not having to wait on someone else to edit it, I can do it myself or Mike can walk through it himself. Plus it is cheaper, which is always a bonus. This is one I love and I have an Evernote note full of ideas I am always tweaking and adding to each day almost. I love having this list because when we start planning our content calendar for the month and seasons we can pull from this list quickly to have new fresh ideas that we didn’t have to come up with on the spot. I am an anti-system or structure person, but gosh if I knew then what I knew now I would have had more systems in my life. Nothing like a baby to make you get organized. We started setting up systems to automate our content production and sharing so we could have more time. It took time to set these things up, decide what worked best to be added to the system, and to make them basically muscle memory. Now, these things are how we can go from shooting to checked off the list of to-dos within 2-6 hours sometimes depending on the type of content we are creating that day. It is no doubt that creating great content takes time, but it doesn’t mean it should take all of your time. Part of creating great content is also living great content. The best things come from experience especially when writing about lifestyle and experiences, so having the work parts of creating automated helps generate the kind of content we want to be creating. Systems, routines, and more all help create an effective work/life balance. 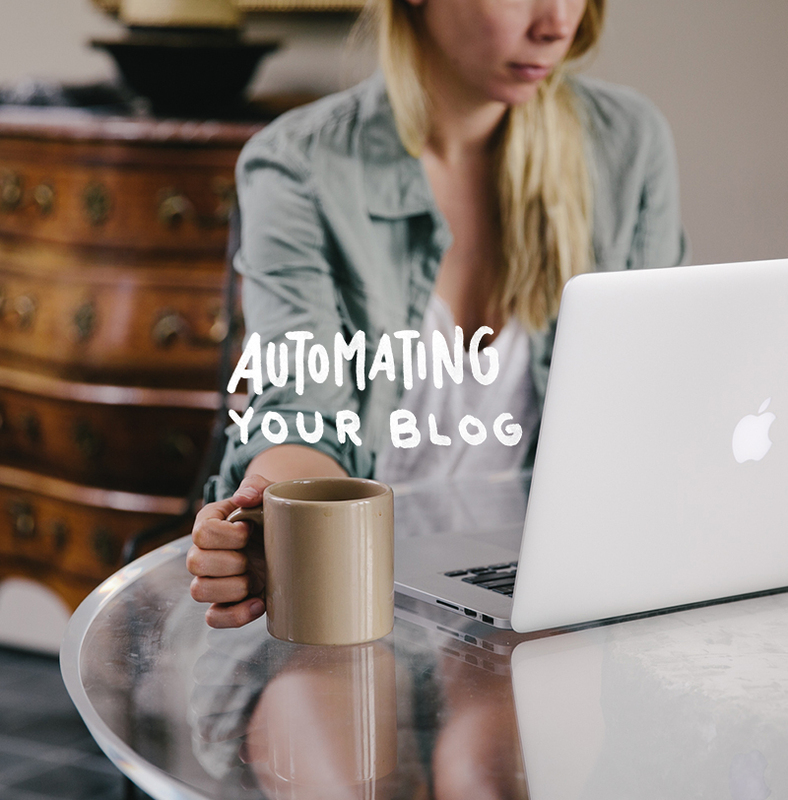 What ways do you automate your blog? Would love to hear any tips from you guys! We are always learning. Oh, these are great! Definitely looking into todoist… & I’ve had my sights set on CoSchedule for over a year now. My biz hasn’t brought in enough $$ to afford it yet… but SOON! Thanks for this post! I’ve been curious about scheduling content for my site and social media (which I currently do very little of). I definitely will check out Todoist and A Color Story to start out. This was incredibly helpful! This is such a great resource! I have been looking for a fresh and better way to filter my pictures, so I will definitely be checking these options out. Also, I know that scheduling my social media posts would make my life easier, I just need to jump the gun and do it! Great tips! I may create my own preset soon but that feels so INTIMIDATING! To get something that looks good across the BOARD – I mean, I know it is great for CONSISTENCY! I am just still trying to figure all that out! Also, I totally would be interested in a post on creating your own preset! That would be super helpful for me! haha! You are so wonderful to share this, thank you! I am trying to up my blogging game up a bit, by creating a content calendar – it really does help keep things exciting and moving along! I loved this post and all of your tips! I have an evernote list of post ideas as well, and I love the ideas of creating a content calendar. When you use a topic from your list, do you check mark it or cross it out, or do you delete it since the topic has been written about? I’m sure the list could easily get cluttered, but do you think it’s important to keep all topics to ensure no repeats? I am a TOTALY todoist convert!! i was forever attached to my A3 sized agenda, but it got too bulky with my other things for my day, so it’s been converted to my phone. a total win for my shoulders and my busy thoughts! Todoist is really useful when you connect it with other services and automate it creatively.